The first thing a client sees is the exterior of your business. That means that, even if you are doing everything right inside, first impressions are going to be made based on appearances. That’s a simple fact of life. So, even though the appearance of your parking lot might not be the first thing on your mind (or even on your list of priorities), it’s still important that you take steps to beautify your parking lot and building exterior. That’s why you should let our professional Oakland parking lot sweepers at Universal Site Services make cleaning and maintaining your parking lot their #1 priority. Make it easy for your clients to respect you by showing that you take pride in every aspect of your business, inside and out. A clean parking lot shows confidence as well as an attention to detail, both of which are qualities that will earn your clients’ admiration. These positive impressions will carry over into their meeting with you, making them more likely to enter into business and recommend you to other clients. 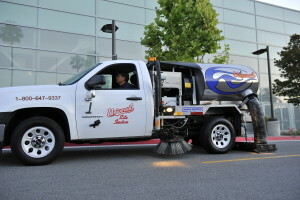 Don’t hesitate – call our parking lot sweepers in Oakland today so we can start helping your business’s image. In the modern age, it’s important to keep the health of the environment in mind at all times. 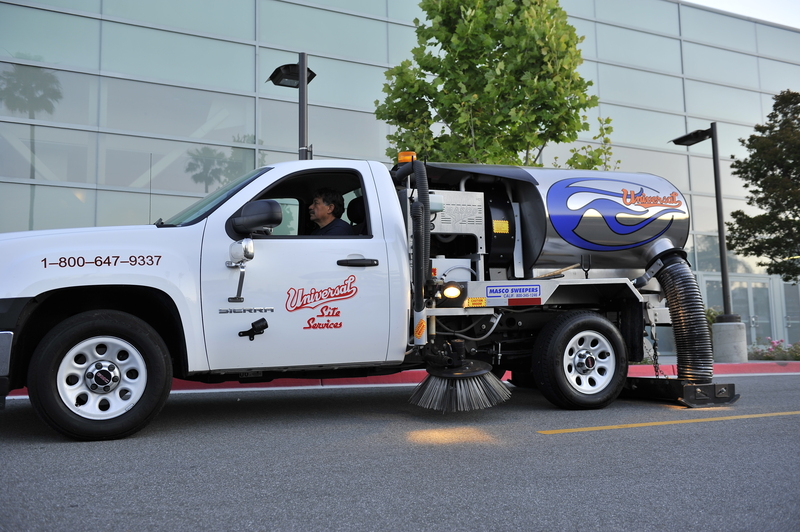 We use modern, eco-friendly equipment that allows us to provide the highest quality cleaning and sweeping services while also reducing our impact on the environment. Did you know that parked vehicles leak fluids that damage your pavement? 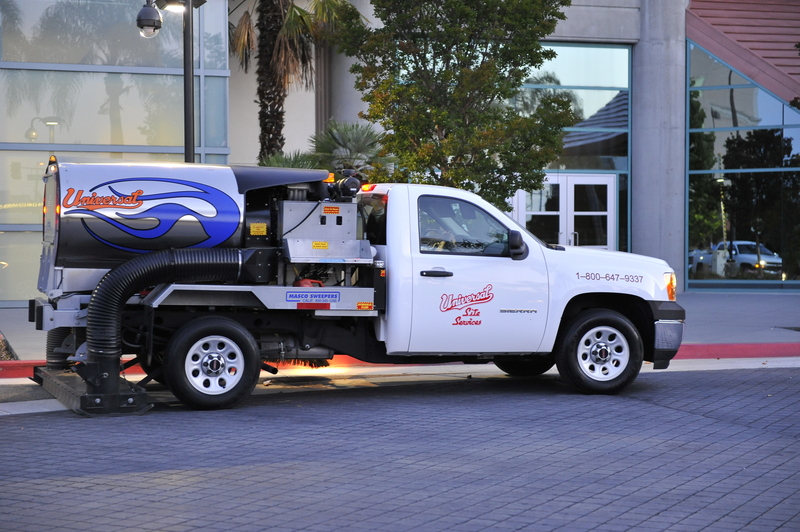 By allowing our Oakland parking lot street sweepers to clean your lot, you are not only helping prevent those fluids from entering the water system, but you are also preventing the erosion of your existing lot surface. Through regular upkeep, you can avoid huge repaving costs and keep your parking lot in pristine condition for many years to come. We aren’t biased when it comes to parking lots. Whether you are a small start-up company or a large corporation with several large parking lots, we’ll gladly come to your aid. 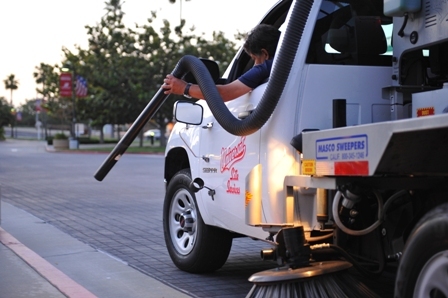 We work one on one with our customers to determine the most convenient time to sweep and vacuum so as to ensure we do not interrupt the regular flow of business (or agitate your neighbors). We service parking lots, parking garages, industrial and retail sites, and handle cleanup for special events. We also work with homeowners associations to provide high-quality services. Our 24-hour availability and emergency services means that we can help you any time, day or night, in maintaining your company’s beautiful exterior.